/ Why is Sugar So Bad? In the most extreme sense, eating too much sugar will likely kill you. This is according to a massive study in the Journal of the American Medical Association (JAMA). While the average American eats 10 percent of their calories from sugar, one-tenth of Americans consume one-quarter of all calories from sugar. This puts the second group at two times the risk of getting heart disease. Even a single soda could put an individual at risk of consuming too much sugar for the day. Far from simply adding calories to your diet, recent research suggests the problem of sugar is far worse. According to Dr. Robert Lustig of the University of California, it's downright toxic. Sugars are the smallest and most simple carbohydrate that are available to the body. Humans can absorb them extremely quickly, which is why we crave sugar when we're hungry or tired. Fructose, glucose, lactose and sucrose are different kinds of sugars. There is also some research to suggest that some sugars are worse for you than others. Before explaining what sugar is, we need to take a step back and talk about carbohydrates. Too much of any one kind of food is bad for you, but there are certain sugars that are better for you. Any kind of added sugar that is highly processed and added to foods during the cooking process is going to be bad for you. This type of sugar is the worst type of sugar you can ingest because it doesn't have the benefits of a fiber, vitamins or minerals. 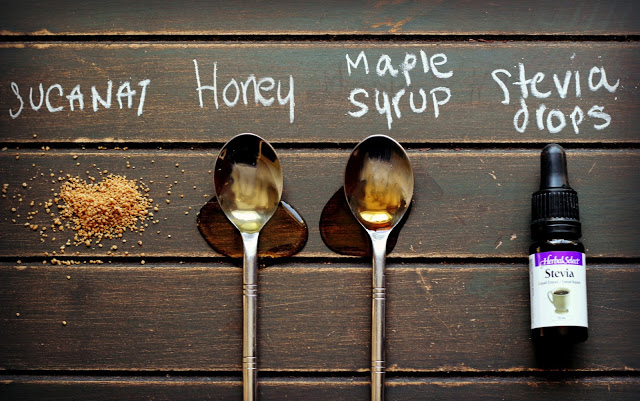 Even adding these elements later won't make added sugar any better for you. This type of sugar has no nutritional value. Carbohydrates can be classified generally as either complex or simple. Complex carbohydrates are made up of more than one simple sugar using a chemical bond. As you start adding additional simple sugars to the compound, the carbohydrates become more complex. When a carbohydrate has multiple simple sugars, it takes longer to break down in the body. This has an overall positive effect on blood sugar since it prevents the sugar from being dumped into the body all at once. Simple carbohydrates can be further classified as monosaccharides or disaccharides. As the name suggests, monosaccharides contain one sugar molecule while disaccharides contain two sugar molecules. The major monosaccharides that you'll find in your food are glucose and fructose. The most common disaccharides are sucrose and lactose. Break the chemical bond of the two sugars in sucrose and you'll get glucose and fructose. Break down lactose and you'll get galactose and glucose. Add an acid like lemon juice to sucrose or lactose, and it will break the chemical bond between the two constituent sugars. If you could only pick one simple sugar to survive on while cast away on a desert island, this would be the one to choose. Glucose provides the primary source of energy for the body. When people discuss blood sugar, they are really talking about the concentration of glucose in the blood. After eating carbohydrates, the body breaks everything down into small units of glucose. The pancreas releases insulin in reaction to the rising glucose levels. This signals cells to begin taking glucose from the blood to use it for energy. Your blood sugar levels go down once the cells begin absorbing the glucose. Glucose is the measurement for how easily foods are broken down by the body. As such, on the glycemic index, glucose has the highest value at 100. Fructose is the other simple sugar that is found in sucrose. When you break it down, it is also absorbed easily by the body. However, compared to glucose, it only has a glycemic index value of 19. Because of this, many people thought that fructose was a good option to replace sugar. Fructose gets absorbed directly into the bloodstream, and it doesn't affect insulin production and doesn't change glucose levels since it's metabolized in the liver. While this may seem like a good thing the liver isn't able to process a large amount of fructose. What happens instead is that the extra fructose gets used to make fat. The body then carries this fat around and stores it. This is why diabetics can usually tolerate fructose in small amounts. When people talk about sugar, they are typically referring to sucrose. Chemically speaking, sucrose is a molecule that is composed of 12 carbon atoms, 22 hydrogen atoms, and 11 oxygen atoms. In fact, these three compounds exist in all carbohydrates. Since sucrose is an equal split of glucose and fructose, it's best to explain how these two simple sugars work on the body. Sucrose has a glycemic index of 65. Since there are two simple sugars, it is classified as a disaccharide. All of the nutrients have been removed from sugar, which means there is no fiber, phytochemicals, minerals, vitamins or minerals. The World Health Organization (WHO) recommends that people only get 5 percent of their daily caloric intake from sugar. The average American consumes 19.5 teaspoons of sugar each day. Sugar makes up 16 percent of the average American child's total caloric intake. Craving and withdrawal symptoms go along with sugar, which increases the desire for more. The U.S. National Institute on Drug Abuse has found that sugar creates chemical changes in the brain's reward center. Overconsumption of sugar can create an imbalance of hormones that can wreak havoc on your body. Sugar triggers insulin production, which suppresses a hormone called leptin that is designed to tell the brain when to stop eating. Refined sugar is linked to insomnia, dizziness, allergies, cardiovascular disease, hypertension, hypoglycemia and obesity. 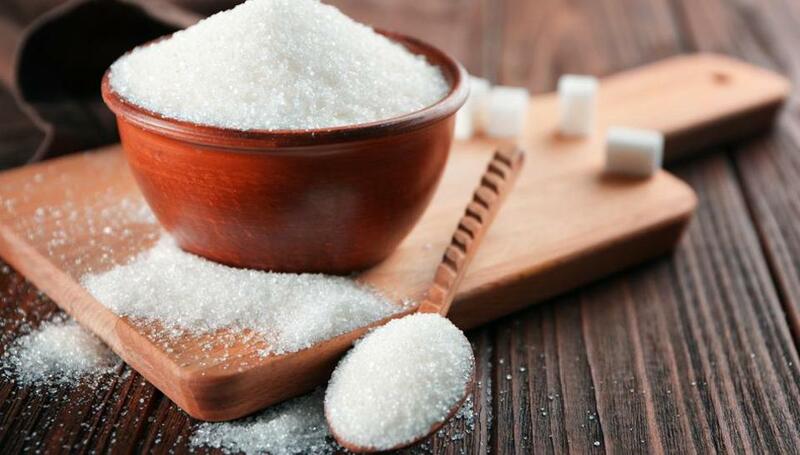 Sugar contributes to certain types of cancers, including colon and pancreatic cancer. Teeth decay at a faster rate on a diet high in sugar. Hair loss is often linked to excess consumption of sugar. Sugar messes up the levels of minerals in your body. Calcium, magnesium and protein absorption is negatively affected by sugar. Vitamin E levels are lowered by sugar. Sugar can create behavioral changes, including hyperactivity, anxiety, difficulty concentrating, emotional instability and depression. Sugar can affect your ability to learn. Fluid retention is enhanced by sugar. Sugar can compromise the lining of your capillaries, make your tendons brittle and cause your adrenal glands to slow down. Aging of the skin is increased by the consumption of sugar. Sugar interferes with how enzymes function in your body. When discussing sugar, it's important to realize that the sugars that occur naturally in apples, fruits and whole foods aren't generally considered to be as bad as those that are added to foods as a sweetener. Whole foods come with vitamins, fiber and nutrients, which makes them more beneficial to you. When you ingest added sugars, changes to your body will begin to happen just 24 hours after ingesting the substance. Within a single day, your body will begin to get flooded with triglycerides. These are fatty deposits that ride along on your bloodstream. Your liver creates these deposits when you ingest fructose. Since the liver can't handle a high level of fructose, the body begins to store abdominal fat. It's not just humans that fructose has this effect on. Any animal that ingests fructose will inevitably gain weight. When you ingest sugar, it lights up the brain's reward center. Over time, it can become more difficult to learn, remember and stay focused on tasks. An increase of dopamine and serotonin cause your body to surge with feel-good emotions, and a sugar high has often been equated with people who get high on cocaine. It becomes addictive. The moment you eat glucose, your body will start increasing its insulin levels. This puts extra strain on your pancreas in an effort to stabilize your blood sugar levels. After the insulin that is dispatched to deal with the glucose does its job, your blood sugar levels will drop again. This will leave you feeling tired and drained. This can become part of an addictive cycle if you continue to ingest more sugar to provide you with additional energy. There is enough of a concern about sugar that people have created various sugar detox diets to rid yourself of your sweet tooth. While many people may not eat sugar in the healthiest way possible, the question of whether or not it's actually addictive is a little more complicated. A study published in the Neuroscience & Bio behavioral Reviews seems to suggest that it has addictive potential. The study analyzed four elements of addiction, including bingeing, withdrawal, craving and cross-sensitization. These are the same behaviors that are exhibited with known addictive drugs. The study uses rats as subjects that were given access to a sugar solution 12 hours per day. After just one month of drinking from this solution, the rats began to show the same signs as those that indicate drug abuse. The scientists then tried to determine why sugar was demonstrating these addictive behaviors. Addictive drugs tend to create increases in dopamine in certain parts of the brain. This inevitably leads to withdrawal when the sugar source is taken away. The scientists discovered that when given access to sugar in an intermittent manner, a dependency on the compound does occur. While the study is careful to avoid calling sugar an addictive food, it does state that there is evidence to suggest that sugar can be addictive when provided in the right context and environment. What is known is that sugar causes brain changes, and it also affects the behavior of animals, including humans. The brain changes that occur are very similar to the brain changes that occur with amphetamine addiction and alcohol dependence. The main objection to calling it an addiction is that the diet industry invented the concept of a food addiction and was based on anecdotal reports that came mainly from self-help books. Sucrose from sugar cane, sugar beets, and corn are treated with enzymes and then processed through liquid chromatography to increase the fructose content. This results in high fructose corn syrup, which typically contains either 42 percent of 55 percent fructose. So, the main difference between sucrose and high-fructose corn syrup is the ratio of glucose to fructose. In sugar, the ratios are equal. In high-fructose corn syrup, the ratios are not equal. In a 42 percent solution, the HFCS contains less fructose. In a 55 percent solution, the fructose concentration is higher. Chemically speaking, HFCS and sucrose are virtually non-distinguishable by the body. There is a misconception that somehow sugar is less toxic than HFCS, but without getting into the merits of that assumption, sugar should be avoided in all forms. The word "high" in high-fructose is somewhat inaccurate. High-fructose doesn't contain more fructose than regular fructose. Instead, consider the word "high" to mean "different" or "changed" from naturally occurring fructose. The main concern with high-fructose corn syrup is that the body may handle it differently than your typical table sugar. Since the glucose and fructose that are bound together naturally are chemically separated in high-fructose corn syrup, it turns the fructose into a bullet that goes straight for your liver. As you learned previously, excess fructose is turned into fat. The official word on high-fructose corn syrup, especially from organizations like the Corn Refiners Association, is that high-fructose corn syrup is no different from sugar. Of course, nature doesn't require harsh chemicals and toxins to make sugar. With high-fructose corn syrup, you're getting all sorts of toxins and chemicals that are added during the manufacturing process. A chemical known as chloralkali contains mercury, and this chemical is just one of many that are used to make high-fructose corn syrup. This explains why mercury has been found in high-fructose corn syrup. When the chemical compounds of high-fructose corn syrup are analyzed on a spectrograph, there are numerous chemicals that we have no knowledge of. If toxins aren't enough to scare you off high-fructose corn syrup, you should still avoid foods that contain this ingredient. High-fructose corn syrup is generally used in highly processed foods that simply aren't good for you. If you're ever in doubt about the health of a food, just check to see if it has high-fructose corn syrup. If it does, put it back on your shelf. Is Sugar From Fruit Bad? Dr. David Ludwig of the New Balance Foundation Obesity Prevention Center at Boston Children’s Hospital states that the sugar that comes from fruit is not linked with any adverse side effects. He goes a step further to say that this is true no matter how much fruit you eat. Citing studies that fruit is tied to lower overall body weight and a lower risk of obesity, he believes that the extra antioxidants and nutrients help people feel full and provide metabolic benefits. Fruit contains a high degree of fiber, which makes it beneficial. Even Dr. Robert Lustig, who has labeled sugar as toxic and dangerous believes that fruit is healthy. You can't simply take a product with added sugar and supplement with fiber to make it healthier either. Fruit is unique because the sugar is embedded within the fruit's cells. This means that the sugar in fruit takes much longer to digest since the body has to break it down. As a result, it can have a positive effect on your overall digestive process. If you're on a keto diet, you can still eat fruit. However, you need to make sure you don't exceed your daily carb limits. Berries are a great option and they have a very low glycemic index, which will help keep your blood sugar stable. Coconut, watermelon and cherries also make good options. While pineapple is often cited as a worthy choice, eat it sparingly since it does have a very high glycemic index. Foods I Didn't Know Were Packed with Sugar. It may surprise you to find that many foods that you might not expect are packed with sugar. It's important to read the nutrition information on any label to find out how much sugar a product actually contains. You can unknowingly ingest a large amount of sugar without knowing it if you're not careful. Whole wheat bread is better for you than white bread, but it still has a lot of sugar. When you check the ingredient list, you'll find that sugar is usually at the top of the list. Even if the product contains no high-fructose corn syrup, you should still check the sugar content. There are some breads that are low in sugar, but you need to look for them. Unless you're getting natural Greek yogurt or specifically choosing a product that doesn't contain added sugar, you'll be shocked at the level of sugar in your average cup of yogurt. Companies add sugar to yogurt to make it taste better, which is a shame since they managed to take a healthy food and make it bad for you. Those energy bars are often packed with tons of simple carbohydrates. Sugar is often used to make them more palatable, but you can find some sugar-free energy bars if that's what you're looking for. Remember that the daily recommended dose of sugar is just 25 grams, and one energy bar can easily exceed that allotment. You go to a restaurant to get a salad, and you think you've just made a healthy choice. If you eliminate the salad dressing you might be okay, but your dressing can have up to 10 grams of sugar in it. This is the kind of sugar that goes straight to your fat stores, so it's definitely something you'll want to avoid. Ask the waiter to bring you some olive oil and balsamic vinegar to make your own dressing and you'll be much better off. What Are the Good and Bad Alternatives to Sugar? 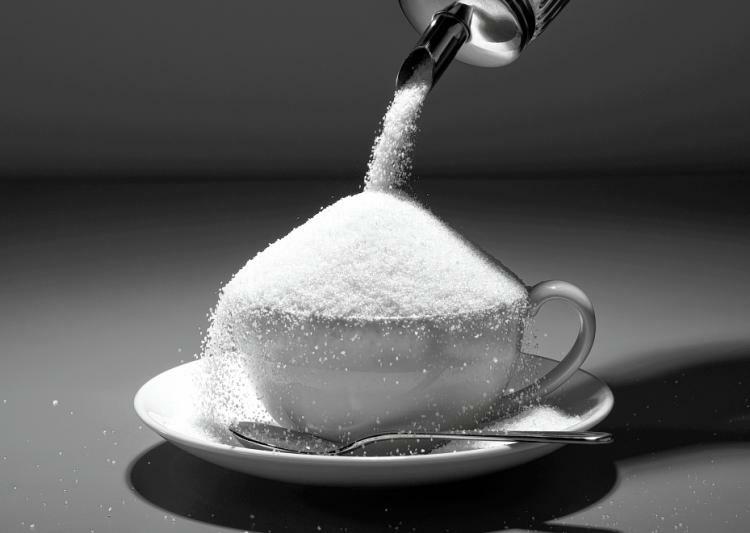 Some sweeteners that contain no sugar are just as bad for you as sugar. In fact, some of these artificial sweeteners may even be worse for you. It's best to avoid sweeteners when possible. There are psychological effects that may go along with any sweetener. The body may experience a leptin or ghrelin response that could make you hungrier as a result of the sweetener. But, if you must have sugar, coconut sugar and erythritol may offer a solution for you. Avoid this sweetener like the plague. People who work in factories that produce aspartame have been found to have a higher risk of cancer. Additionally, many people report general sickness as a result of ingesting foods with aspartame. There was even an experiment completed by the University of Liverpool that found aspartame becomes toxic when mixed with food colorings blue and quinoline yellow. This was once touted as a healthy alternative to sugar. But, it contains nearly 70 to 90 percent fructose. This means that it's got an incredibly high risk of going straight to your fat storage. The belief that it was healthy was likely based on how it doesn't affect insulin levels. However, what you gain in blood sugar, you lose in increases of fat. This sweetener is processed using chlorine, and it's also bad for the environment. It ends up polluting our streams, and it can't be broken down once it gets out into the environment. It's a good idea to skip this artificial sweetener. Coconut sugar won't save you any calories or carbohydrates, but it does only contain about three to nine percent of fructose and nine percent of glucose. This makes it a much better sweetener than many of the artificial ones available on the market. It contains anywhere from 70 to 79 percent sucrose. If you're confused by the statement that glucose and fructose are only three to nine percent of the sugar content but the product contains sucrose, remember that sucrose is a chemical bond of fructose and glucose. This is different than pure fructose and glucose. In essence, sucrose takes longer to break down in the body so it's slightly better for you. This is a sugar alcohol that is often found in diet foods. It is constructed of a sugar and alcohol molecule. This sweetener doesn't spike your blood pressure and it is low on the glycemic index. It's almost calorie-free, but there is a drawback. The substance doesn't absorb well in the intestines, and it can begin to ferment. This results in pain, gas, bloating and even diarrhea. If you don't experience these symptoms, it's a good option to try. The bottom line is that sugar is something you need to monitor carefully. If you're on a keto diet, you should definitely aim to avoid simple sugars. These will spike your blood pressure and even a small amount could potentially take you out of ketosis. Remember that not all sugars are created equal, and simply looking at the nutrition facts won't give you the whole picture. If you had two foods with 10 grams of sugar with one made from sucrose and another made from fructose, the product with fructose will be more likely to result in weight gain.